Family caregiving brings with it numerous rewards and stresses. The satisfaction that you are “taking care of your own” is very unique. But family also knows you well. They know that the facial expression you’re making now might mean you’re mad, but trying to cover it up. With someone outside your family, they may not notice it or know what it means. According to the CDC, the typical caregiver is a woman in her 40s, providing care for her mother. This is an incredible act of love, and reciprocation to the woman who brought you into this world. But she may also be the person who’s able to say just a little remark that can bring up decades of past issues. These are stresses many caregivers of their own parents’ experience, and knowing you’re not alone can help (and you’re not, with 34 million unpaid caregivers out there!). The Internet abounds with stories of people who accidentally become part-time caregivers to their friends and neighbors. Often times, the caregiving begins incrementally: picking up some groceries here, dropping off the mail there. It may stop there, or continue on. These people know that they get along with their charge, which can be a help (who doesn’t love visiting a friend?) and a hindrance (when one person is unhappy, it can be awkward to let their friend know). Caregiving professionals are part of an industry that is growing and will continue to grow as the baby-boomers age. These individuals have devoted their careers to helping others. The satisfaction of that does not lower the stress that can come with the job, but it may provide comfort at the end of a long day. They may be temporary or long-term. Either way they are bringing both help and joy to their charge. TotalHomeCareSupplies.com honors all the caregivers out there, and hope that they know we’re thinking of them. We’d love to hear about your caregiver experiences, past or present! See you in the comments! 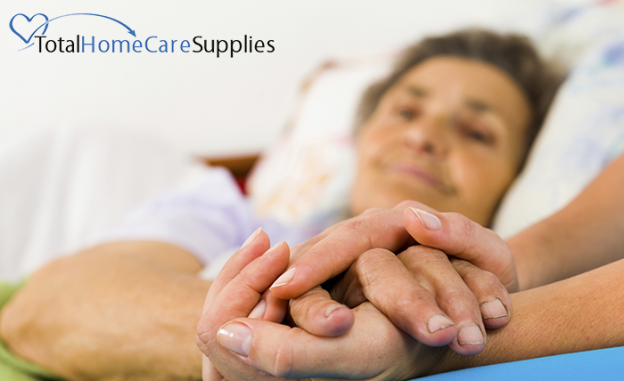 Tags: care givers, Caregivers, family caregivers, hired caregivers, incontinence, incontinence supplies, kinds, sorts, Total Home Care Supplies, totalhomecaresupplies.com, types .